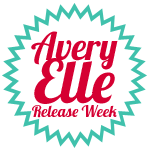 Welcome to day 4 of Avery Elle August Release Week! Today we're working with a stamp set called Blooming Banner! Let's get right to the cards, shall we? My first card uses one of the great bold sentiments from the Blooming Banner set. The bold font against all the yummy grosgrain just makes me smile:) For my second card, I used what I call the doily banner image to make a baby shower favor! Jamie, Kasia, and Heather will be sharing their Blooming Banner projects today too, so click on over! Your card is so bright and pretty. It is definitely a "happy" card. Thanks for the template to make these goodie treats. Oh my gosh! Love these projects! That bag is so great! The stamp is perfect for it! love the ribbon card and the treat bag is perfect. Love your projects today, especially that first one with all the ribbons. Oh Wow JJ! 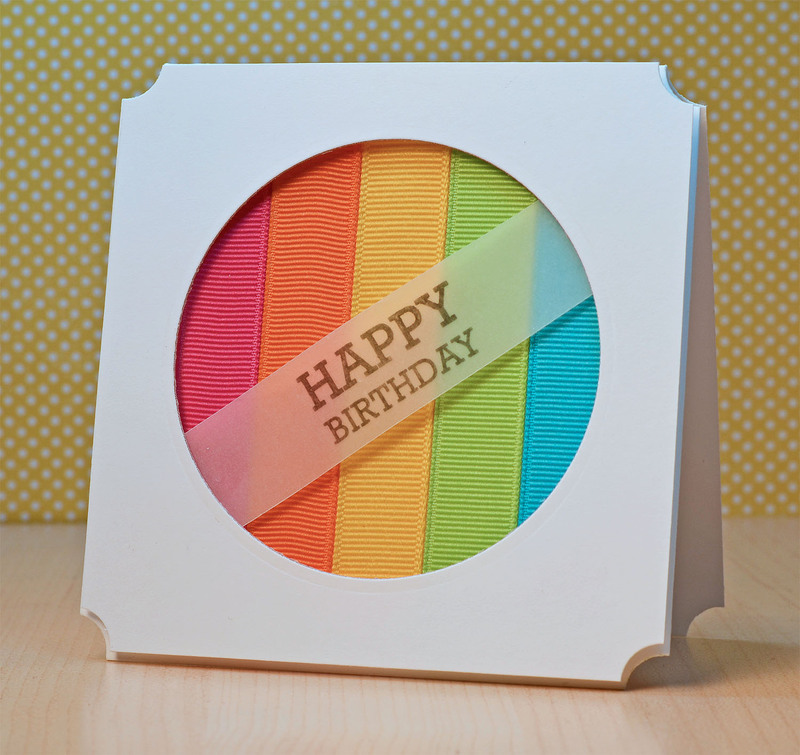 Love that card with the rainbow of ribbons - I'm like a butterfly attracted to all those bright candy colors. The goodie box you made is amazing - love the stamping - the flap reminds me of a big sakura flower - I love the little window that allows you to see all the tempting goodies on the inside! 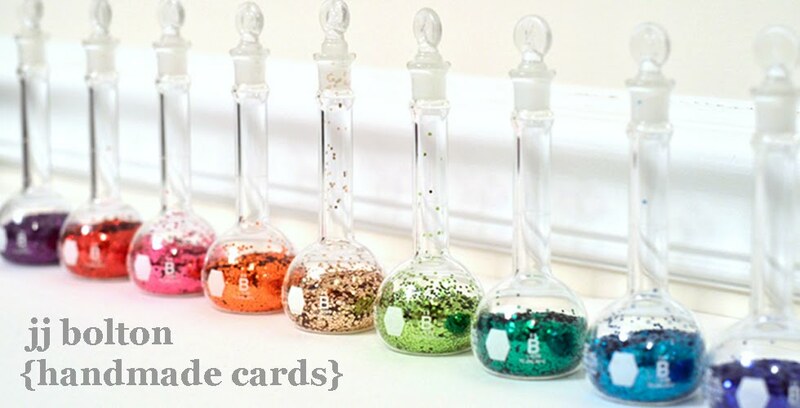 I love the idea for the card and will be using it in the future! Thanks so much for sharing the favor file - it is really cute! Oh my GOSH...I LOVE!!! The ribbon looks so cool and that treat bag is just AWESOME!!! That card.. L.O.V.E. :) The goody box is cute, too! Sigh. You are simply amazing. Your projects are amazing. w.o.w. I love that bag! Alright, Ribbon Girl, you totally rocked the grosgrain! The vellum on top is perfect. Thanks for the cut file too! That rainbow of ribbon makes me smile too. So cheery! And your little treat bag is so darn cute! So sweet! I love that ribbon card, it's so cheerful. 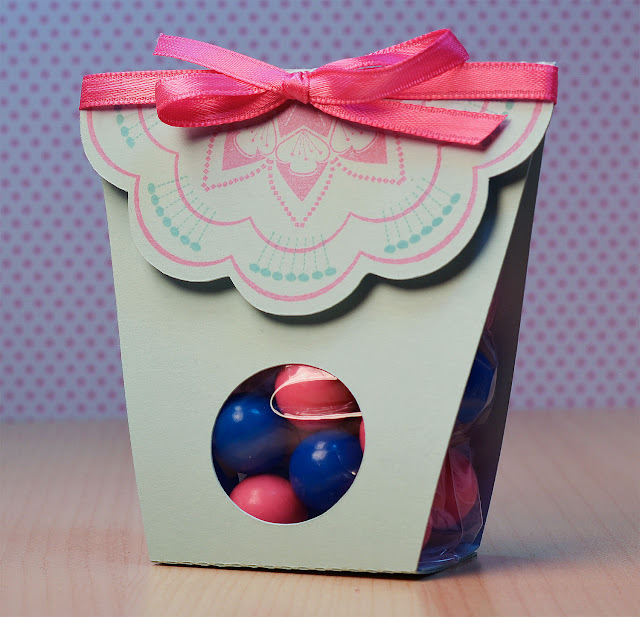 Such a sweet baby shower favor too - I like the window to see the candies. JJ I love all these cards but especially the birthday one. Clean and simple, but oh so colorful!